each category, only one person will become the winner. 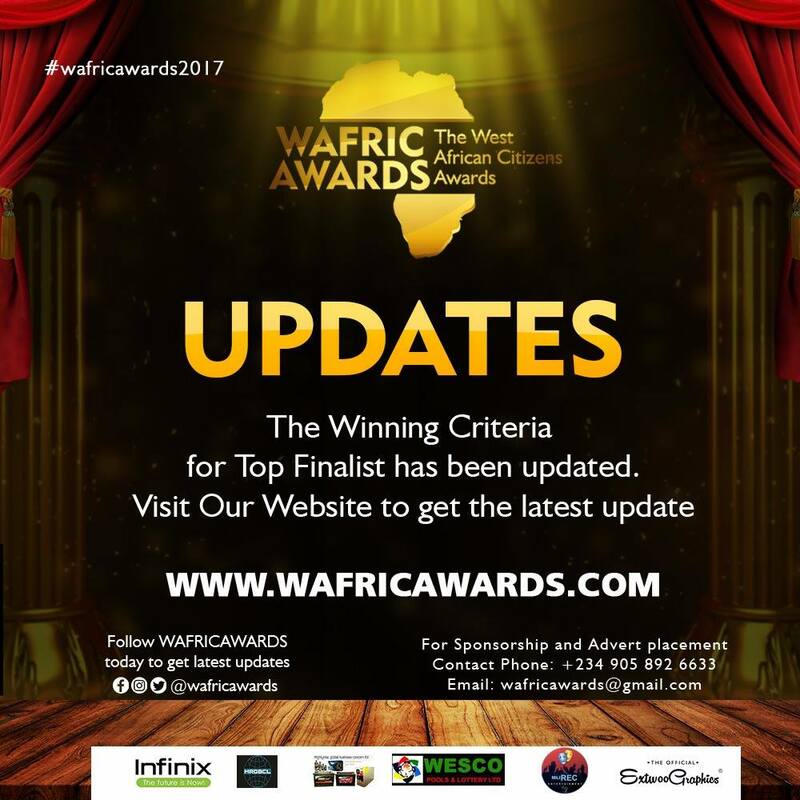 All nominees must pay for the Regular, VIP, Couple or Table for five (5) event ticket on or before 10th of September 2017. Nominees that will not be present at the event cannot win the award. information being sent to us. and West African Citizens Awards panel findings. 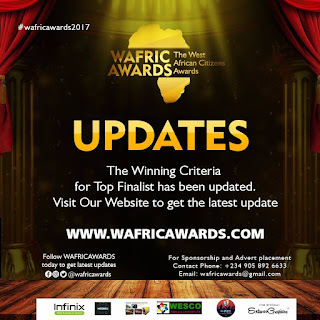 achievement and West African Citizens Awards panel findings.